One of the advantages of being a great boutique lab is our wide variety of print finishing services. 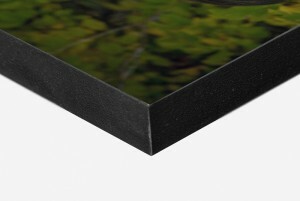 With Lenzart, your options range from traditional canvas mounting (yes, by peeling the emulsion before mounting), all the way to today’s contemporary print finishing options of bevel board, gator foam mounts and standout mounts. Choose among a variety of coating and texture options, including embossed texture, texture spray, brush stroke, and lacquer spray. You can depend on receiving a truly polished and professional presentation in whichever print finishing choices you make. Most of these services will give you a “ready to frame” or “ready to display” final product without adding time to your delivery. Art Board is triple weight for 8×10 and smaller, quad weight for 11×14 to 20×24, and a sturdy 5-ply for anything larger than 20×24. 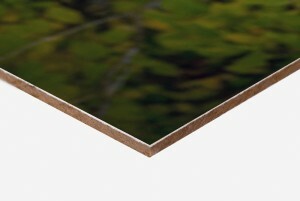 Masonite is a heavy compressed hardboard material that will not warp and is perfect for when a very sturdy alternative is needed. 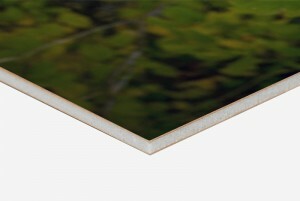 Gatorfoam is a sturdy but lightweight foamboard that will not warp. With a stiff cover sheet on both sides, this board is resistant to minor pressure and waving. 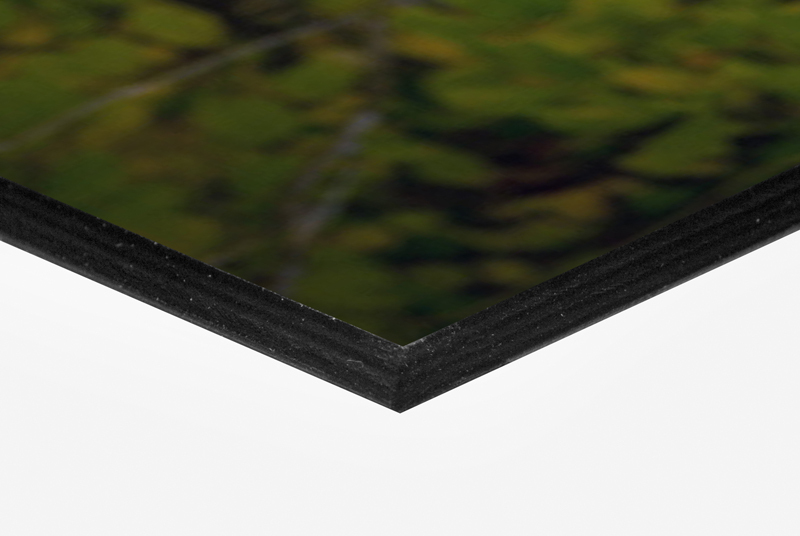 Beveled Mount This is a 5-ply board cut on a bevel then trimmed in black, silver or gold. 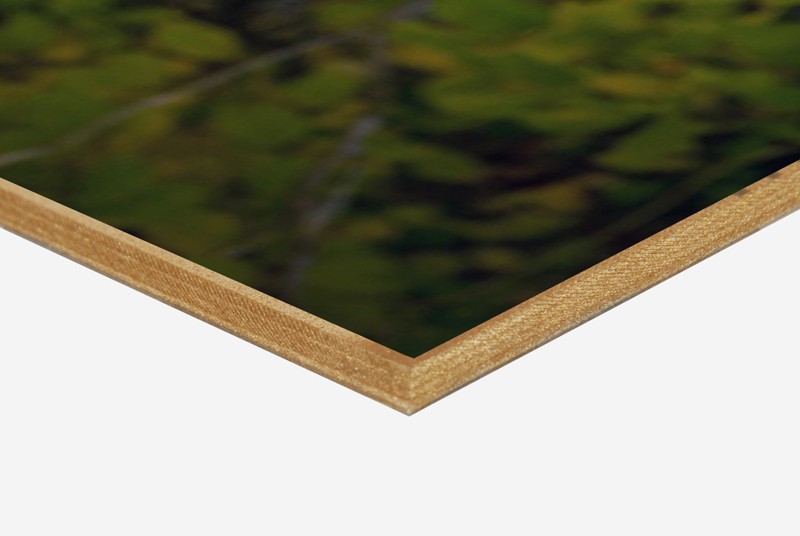 This is a beautiful alternative to framing. 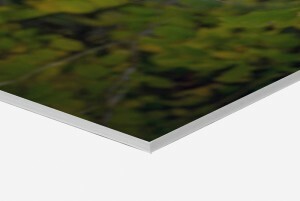 Perfect for displaying on easels! Standout Mount is a 3/4″ thick lightweight foamboard with a black plastic finished edge. Sleek and contemporary without the need for framing, it comes ready to hang with holes included in the back. • Lenzart “strips” the photo emulsion, resulting in a deep, rich canvas pattern. The canvas is a natural material and will have irregular print finishing weave. It is not unusual to see bumps and different thicknesses of the threads. 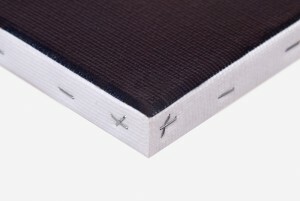 • Traditional canvas can be ordered as a piece stretched over ¾” stretcher bars, mounted on gatorfoam or masonite. • Brush stroke is a texturing material that is literally brushed onto the surface of the print to create a classic, “old masters” look. A protective UV spray is applied over the brushstroke.